Last week Left Unity, the new ‘radical political party of the left’ held its founding conference. What does that mean for politics to the left of Labour? And what could be the electoral impact of a new left organisation? I’ll put my cards on the table early on. I was the lead candidate for the Greens in the North West region, where in 2009 we lost out by 0.3% to Nick Griffin and the BNP. Why is that relevant? Well the combined vote for socialist parties in the North West in 2009 was 3% and every one of those ballot papers was a missed opportunity to stop Griffin getting into the European Parliament. What Left Unity decides on as their electoral strategy could have a huge impact on whether we succeed in removing him this time. Politics is never simple, and not every socialist would have chosen to back the Greens, but arguably the figures speak for themselves. If different choices had been made, Nick Griffin would never have been elected. Many in Left Unity are keen to take a new approach to politics and are urging co-operation, rather than confrontation, with the Green Party in the run up to the European Elections. I believe Left Unity must focus on uniting voters on the left to kick the BNP out of the European Parliament once and for all. Then, as now, I’m going to make the argument for a tactical Green vote. In 2009 we received a succession of high profile endorsements including Frank Cottrell Boyce and Alexei Sayle, as many people recognised how important this vote was going to be. It was clear to most observers that the Greens would be the best progressive vote to beat the BNP in the North West. The result showed that the Liberal Democrats would have needed 6 times as many extra votes as the Greens to have the same effect and Labour more than 10 times that amount. Since 2009 Nick Griffin has been able to draw an annual salary of 84,000 Euros and through his European Parliamentary budget for an office and staff he has been able to sustain the BNP through internal splits and a disastrous four years. The BNP has been teetering on the edge of bankruptcy and ejecting Griffin from the European Parliament next year would push them in that direction. There are just six months to go until the next European elections and it’s important that voters in the North West are fully equipped with the facts about how best to remove the BNP. For anti-racists, there is no debate that is more important. In France, the Front Nationale have returned with a vengeance, registering support at 24% in a recent opinion poll. At a time of government cuts and scaremongering about immigration by UKIP, we need to make sure that there is no BNP revival in the UK. 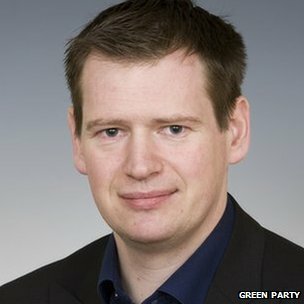 In 2009, the Salma Yaqoob led Respect Party endorsed the Greens and Ben Tallis, the Libertas lead candidate, made the admirable decision to prioritise the defeat of Nick Griffin by urging a vote for the Greens too. However, a great many small parties or independents standing and attracting small levels of support actually lowers the share of the vote the BNP will need to win a seat. Even if as widely expected, the BNP lose some support compared to the last election, they could retain their seat and a foothold in the European Parliament. Last time we left it too late to make the argument about tactical voting as parties had already committed to stand. By raising this issue now, well in advance of the nomination process, we have an opportunity to open a dialogue. Left Unity, as the new kid on the block, will set the tone for the rest of the left in the coming months. Using their influence to advocate a tactical anti-racist vote could prove hugely significant. Leaving the BNP with a foothold in British politics is simply not an option. As an active trade unionist and anti racist, I hope we can build the broadest coalition possible to bring an end to five years of far right representation. I will work in solidarity with all anti-racists to help bring that about. The Green door is open to engagement with Left Unity and anyone else who will help us show Nick Griffin the exit. This entry was posted in Campaigns and tagged BNP, Left, Nick Griffin, Peter Cranie by tamesidegreens. Bookmark the permalink.